Santa’s Magical Kingdom, in collaboration with Santa Claus’s North Pole Corporation have signed an exclusive deal to bring all the magic of Christmas to Caulfield Racecourse, Melbourne. Open to the public from the 21 November - 23 December, Santa’s Magical Kingdom will deliver a Christmas wonderland full of activities that will capture the imagination of children & parents everywhere. 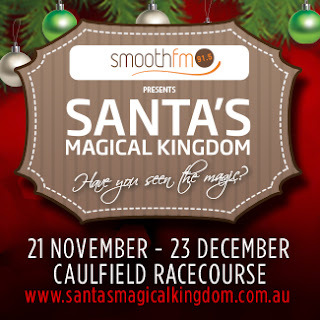 Santa’s Magical Kingdom has been sold out in Melbourne for the past 3 years, and was announced by the Australian Event Awards as Best New Event in Victoria 2013. 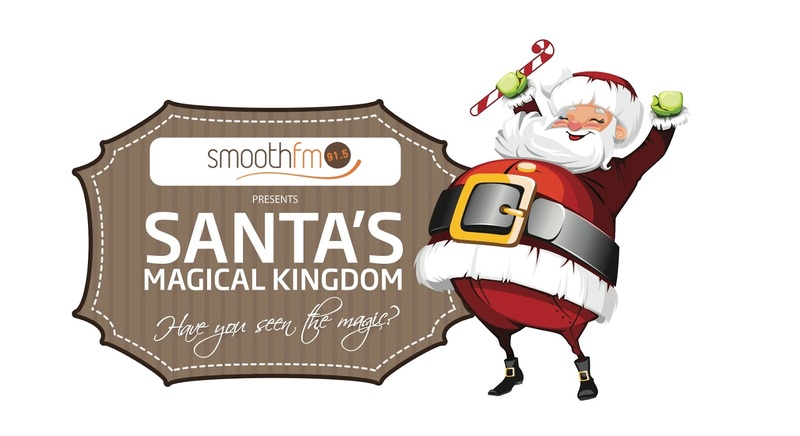 It's been a little while now since I've had a giveaway and what better way to make a comeback for goodies then with a family pass to Santa's Magical Kingdom. Prize: A family pass (2 adults, 2 children) to the Saturday 21st November, 2015 at 10am session. Valued at $140. Giveaway closes: 17th November, 2015 at midnight. Winners announced: 18th November, 2015. I love lots of things about Christmas from decorating trees, listening to Christmas music, drinking hot chocolate with marshmallows, touring the city and looking at light displays, shopping for presents, and finally getting to open the presents with family and friends the next morning and baking sugar cookies with my baby girls. Celebrating the birth of Jesus and dressing up for Church on Christmas Eve. Most importantly spending time with my precious family. I love Santa's Magical Kingdom and seeing the kids faces light up with joy! The holidays and spending time with family and friends is my favourite. Making Grandma's shortbread. It's great for visitors, makes a wonderful gift and because I have been making it for as long as I can remember, it takes my down memory lane. So much!!! The food, the decorations, the Christmas Carols, giving gifts, and playing the role of Santa to my kids!! Family get togethers,parties,food preparations,house decorations,trips.The best time of the year. Laughter and joy is in every household.Everyone is happy and vibrant! My family all in one place at Christmas – exchanging presents, basking in the sun, hanging together having lots of fun. The smiles on my children's face when they unwrap presents under the Christmas Tree! Children’s smiles that last a year. 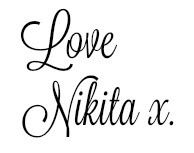 Makes everything the favourite thing for me! Seeing my kids faces light up is definitely my favourite thing about Christmas!! Renata Marchionna: Christmas Trees: There is nothing more exciting the going to pick out a tree and gathering around with people you love to add all the lights and ornaments. It brightens up anyone’s day. its the excitement from my grandchildren leading up to christmas and their laughter and smiles as they open their presents on the day. Nothing beats the laughter from children.